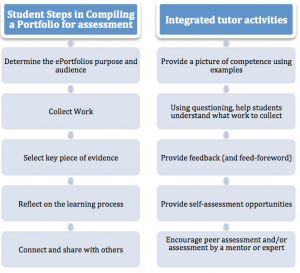 To start of our conversation at next Thursday’s CoP meeting about assessing ePortfolios, here is a controversial article by Trent Bastion that suggests that standard testing be replaced by portfolios assessment. 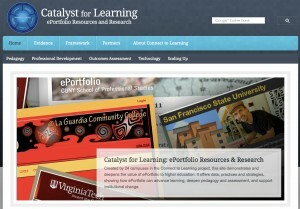 In ePortfolio Effectiveness: A(n Ill-Fated) Search for Empirical Support, the Bryan & Chittum (2013), the authors review the research on ePortfolios, in particular they seek to find empirical evidence of learning effectiveness. 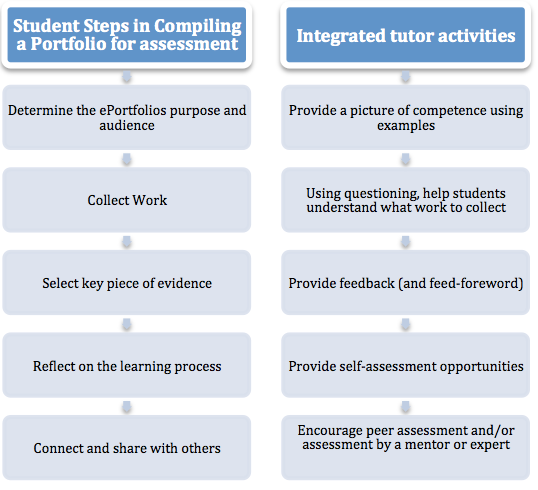 They conclude that although ePortfolio research has been moving from descriptive articles about implementation towards more focus on learning effectiveness, the literature focuses on student and faculty perceptions of ePortfolios rather than providing evidence of impact on learning.